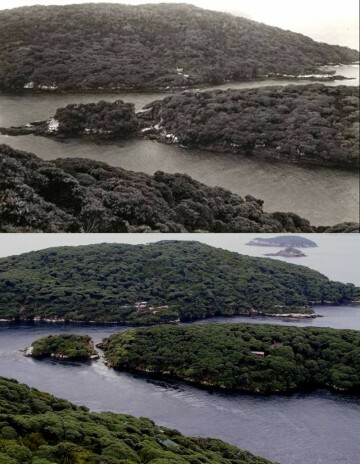 During their November-December 1931 stay on Rerewhakaupoko (Solomon Island), Edgar Stead and his companions used a small boat to visit nearby Big South Cape Island (Taukihepa) whenever sea conditions allowed. 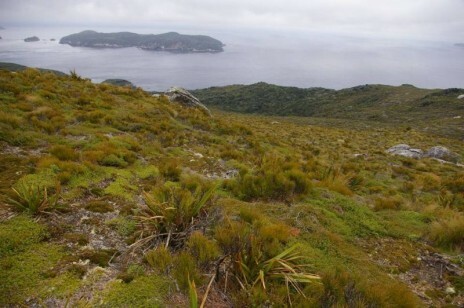 Taukihepa is the largest of the muttonbird islands at 939 ha, and lies off the south-west coast of Stewart Island. Rerewhakaupoko (Solomon Island) at rear, and Pukeweka Island viewed from the tops of Taukihepa (Big South Cape Island). Top image taken in 1931 (Edgar Stead photograph 2001.59.380, Macmillan collection, Canterbury Museum), lower image in 2012 (photo: Colin Miskelly, Te Papa). Stead and companions stayed in one of the cluster of huts visible near the south coast of Rerewhakaupoko. 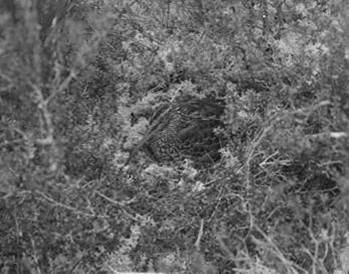 The main attraction for Stead and companions on Taukihepa was the snipe breeding among the low ‘pakihi’ heathland vegetation on the tops of the island. There were no snipe on Rerewhakaupoko. It was my long-term research on New Zealand snipes (genus Coenocorypha) that led to the discovery of Edgar Stead’s long lost diaries in Canterbury Museum in 2006. Stead’s diaries had been in the private collection of Dr David Macmillan (who was related to Stead through their wives being cousins). Macmillan intended writing a biography of his famous friend and relative, but this was never published. Macmillan himself died in 1983, but his archive (including excised pages from Stead’s diaries, and many of Stead’s photographs) were not donated to Canterbury Museum until 2001, when his daughters sold the family home. The South Island snipe (also known as the Stewart Island snipe) was one of the species that became extinct when ship rats invaded Taukihepa and adjacent islands in 1964. The last two birds died during an unsuccessful rescue attempt in August-September 1964, and are now in the Te Papa collection. The closely related Snares Island snipe was successfully translocated to Putauhinu Island 1.4 km north-west of Taukihepa in April 2005. This was the first deliberate replacement of an extinct New Zealand bird with a near relative. 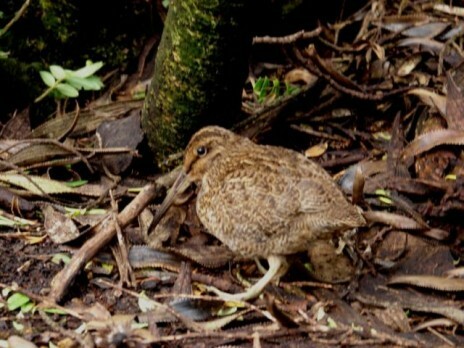 A survey of Putauhinu Island in March 2011 revealed that snipe were thriving, with over 300 birds present.